Golf is a very popular sport usually associated with the business world and men mostly by movies. However, this is a perfect sport for both genders and fit for all ages due to benefits it has to person’s health. Furthermore, this is a fun way to spend time with your loved ones, as well as to enjoy some outdoors after a day at the office. 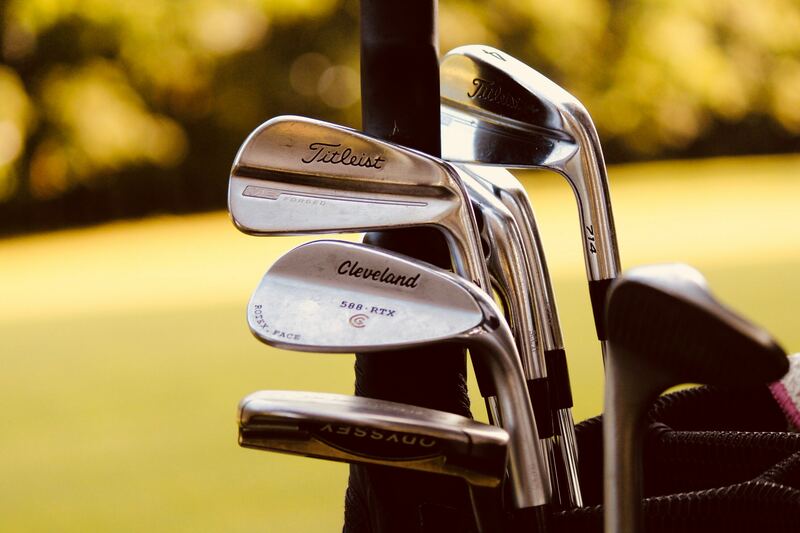 But let the facts speak for themselves and take a look at these ways golf can improve the quality of your life which will definitely have you shopping for clubs. Stress is a number one enemy of the modern man responsible for a variety of conditions and diseases. In order to improve the quality of your life, you need to find a way to eliminate as much stress as you can from your environment. Golf helps you socialize and spend time outdoors – two known ways to de-stress your life and relax. Since this is not an aggressive sport you will easily stay focused at the task at hand and forget problems for a while. Thus, it will help you clear your head and cool off in order to resolve the problems more efficiently and healthily. Golf will be useful assistance for weight loss if paired up with a healthy and responsible diet. It is ideal to play golf for 150 minutes a week and if paired up with other physical activity you will start seeing impressive results. Simply forget the cart and walk the course, but also warm-up before you start playing to avoid injury and don’t start the game hungry in order to avoid low blood sugar or nausea. One of the benefits of golf is that you will get an opportunity to meet different people and maybe even play with some. This is also important for networking since golf will allow you to build business relationships and discover possible clients or partners. But golf also helps you improve the relationships you already have in your life since it puts you in the person-to-person conversation environment. Playing golf is a good workout for the heart since it will keep the blood flowing with mild cardio and swinging. It will also help you improve the capacity of your lungs since most golf courses are in a large area outside of the city with an abundance of fresh air. This sport is ideal for people out of shape since it will help you build the stamina but it also won’t exert you too much and cause you to stop playing in the mid-game. Before you take your chance at golf, it’s best to take lessons and perfect your golf swing and you can even do it at home with video lessons like Swing Eagle. This way you will make sure that the moves and stature are appropriate in order to avoid muscle strain and improve posture. If you are not prone to sports activities, then golf is perfect to keep the joints active and also get your daily exercise. Instead of driving in a golf cart, take a walk to the golf ball as often as you can or always if you can. This will help your musculoskeletal system to stay in shape without living you breathless or sweaty. Just like any physical activity, golf will improve the quality of your sleep and help you get those 7-8 hours every night. Sleep is important not only to feel rested but also be more focused, in a better mood and feel energized during the day. Since stress can negatively affect your sleep pattern, golf will help you fall asleep more easily when you go to bad and even beat insomnia. Another important part of sleeping is achieving the deep sleep state which is actually when our body regenerates. Namely, during sleep, the body repairs damage to our muscles and tissue which slows the aging process and keeps certain conditions at bay. If you weren’t sure whether golf is for you, these six ways should be enough to show you it can really improve the quality of your life. Furthermore, after some video lessons and stretching, you will be good to go and try your luck on the course. Just avoid the cart and walk from hole to hole to keep the body healthy and improve your sleep.